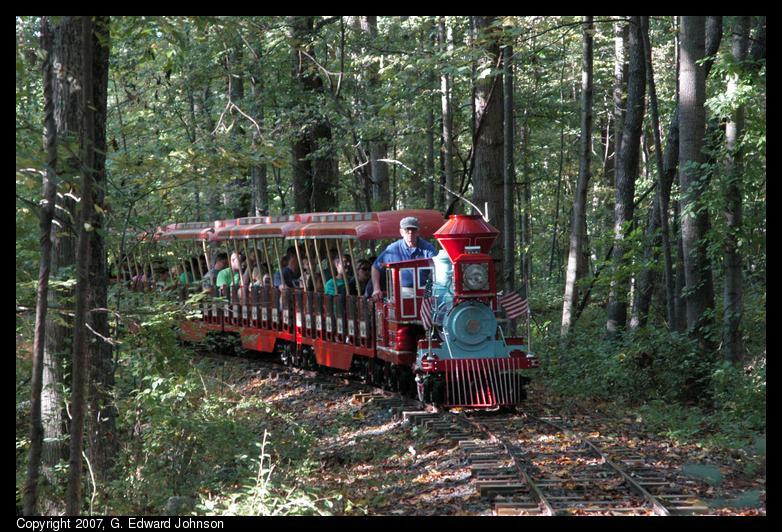 The train runs on tracks through the woods. It starts at the train station, then goes down by the playground, makes a cirle and comes back up on the same track, then makes another cirle back into the train station. The blue and red engine is a eplica of the1863 C.P. Huntington, a 4-2-4T steam locomotive. It pulls a number of red cars that have seating for the passengers.